2013-12-06 2015-01-01 thesustainableinvestor4 Comments on Does finance exist in a moral vacuum? Does finance exist in a moral vacuum? Over the last decade, Socially Responsible Investing, broadly defined as the integration of economic, social, and governance factors (ESG) into the investment process, has come to the forefront of conversation. Popular topics include: resource management, climate impact, pollution prevention, human rights, health and safety, product quality, board accountability, executive compensation, shareholder rights, and reporting and disclosure. Yes – everyone’s talking about it. But the debate endures as fund managers and financial experts try to ascertain the significance of ESG investing. Proponents: On one side of the spectrum there is a growing ensemble of investors asserting it is unacceptable for investment to be disconnected from society and environment. Proponents of ESG are mixed in their approach – some advocate for purely moral reasons, others for purely economic reasons, and a handful fall in-between, grasping onto both arguments. Skeptics: Critics of ESG contend that the sole purpose of investment is to maximize return. Critics assert that investment should be concerned with the bottom line, and those who want to “do good” should join a charity or drive solar cars. Furthermore, clients (at least thus far) have offered limited reward for managers who are integrating ESG into their process, leaving those who aren’t skeptical. Let’s assume the argument for or against ESG is strictly about long-term performance. Consider William Sharpe’s Capital Asset Pricing Model. Though riddled with simplified assumptions, CAPM theory argues that, ceteris paribus, investors must consider the entire investible universe in order to achieve an optimal portfolio. Contracting this universe for ESG, or any idiosyncratic factor, is less than optimal. 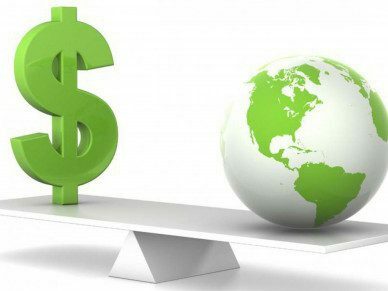 If a fund manager were to integrate ESG into the investment process, thereby excluding “irresponsible” companies, according to theory, he/she would not be able to achieve the highest return per unit of risk. Thus, in order for ESG-investing to result in equal or higher returns, proponents must contend that the benefits achieved from the remaining (less risky) companies in the universe outweigh the loss resulting from a less than optimal portfolio. And thus the argument ensues. My opinion? I remain on the quest to ascertain the extent to which ESG investing will affect the industry. Given a lack of hard evidence, it seems premature to make definitive conclusions about the widespread impact of ESG on performance. One thing is clear – a comprehensive collection of fund managers, consultants, clients, prospects, shareholders, and financial experts have focused their attention towards, at the very least, understanding ESG investing. The question lies in how strong the belief and implementation will become. Would be great if there was further incentive for investment managers to invest in ESG responsible companies. Furthrer, more substanial government incentives for companies to invest in developing socially and environmentally responsible business practices. Jiggy – Spot-on with both comments, although I think incentive for investment managers is a tricky one. Why should a portfolio manager change a process that has been successful for decades when the data is mixed? If the investment process changes abruptly to fully integrate ESG, what does this mean for clients already invested in a fund? In my opinion, there will need to be more substantive evidence (that ESG-friendly companies truly do outperform) and greater pressure from clients before fund managers (broadly speaking) change the way in which they invest. Well said regarding government incentives – enormously powerful. Historically, responsible investing movements have not proved large enough to drive meaningful change. Corporations have generally been unwilling to alter practices without government intervention – i.e. consider the necessity of government to ban investments in Cuba, North Korea, and Iran. It will be interesting to observe the government’s role in this SRI/ESG movement. …More to come on both of these issues – thanks for the comments. Good post, Jen–one that sets the tone for a deeper investigation of the topic. As you do so, my guess is you’ll be focusing a lot on the policy aspects (domestic and international) as changing the rules of the investing game (i.e. carbon pricing schemes, mandatory reporting on ESG metrics through standards a la SASB’s) will change the way the investing game is played. Keep it up! Lew – hit the nail on the head. Standardization is arguably one of the largest drivers of this movement. Once investment managers are directly compared on an apples-to-apples basis it will be much easier for clients to eliminate managers from mandates. The SASB and UN-PRI have already made massive strides in improving transparency and disclosure. More to come on SASB, UN-PRI, and the effect of policy. Thanks for reading!